UNC Asheville will host best-selling authors, reading and discussing their work during many spring semester events, free and open to everyone. Feb. 14 – Valentine’s Day Reading by UNC Asheville Faculty Authors – UNC Asheville English Department faculty members Mildred Barya, Kirk Boyle, Evan Gurney, Rachel Hanson, David Hopes and Lori Horvitz will read from their works. Noon, Karpen Hall, Laurel Forum. 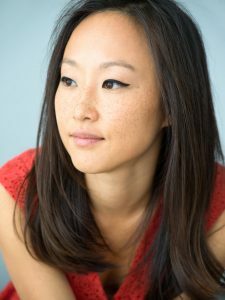 Feb. 19 – UNC Asheville Visiting Writers Series: Crystal Hana Kim – Crystal Hana Kim’s debut novel, If You Leave Me, published by William Morrow of HarperCollins in 2018, earned a starred review in Publisher’s Weekly. The story explores war, family and forbidden love, and is among the Center for Fiction’s 2018 First Novel Prize Long List. Support for this event comes from Biltmore Farms Hotels, Blue Ridge Public Radio and Our State magazine. 7 p.m., Karpen Hall, Laurel Forum. 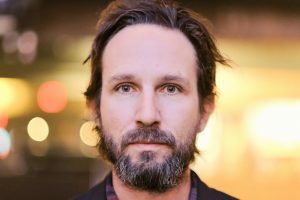 March 5 – UNC Asheville Visiting Writers Series: Will Johnson – American singer-songwriter Will Johnson will be in conversation with UNC Asheville Writer-in-Residence Wiley Cash. Johnson is the lead singer of the bands Centro-matic and South San Gabriel, and has been called “one of the most prolific artists in American indie rock.” Cash is the New York Times best-selling author of A Land More Kind than Home and The Last Ballad. Support for this event comes from Biltmore Farms Hotels, Blue Ridge Public Radio and Our State magazine. 7 p.m., Karpen Hall, Laurel Forum. March 16 – Southern Appalachian Studies Conference Keynote Discussion: Wiley Cash, Ron Rash and Lee Smith – Wiley Cash moderates this conversation with award-winning writers of Southern Appalachian fiction, Lee Smith – well-known story teller and author of 18 books – and Ron Rash, the Parris Distinguished Professor in Appalachian Cultural Studies at Western Carolina University and author of 22 books. This keynote, part of the 27th annual Southern Appalachian Studies Conference, is supported by the North Carolina Humanities Council. 4 p.m., Lipinsky Auditorium, with an overflow livestream in the Reuter Center. March 20 – UNC Asheville’s Creative Writing Program Presents Three Local Authors: Poets Nickole Brown and Jessica Jacobs, and Novelist Kevin McIlvoy – Brown, Jacobs and McIlvoy are members of the faculty of UNC Asheville’s Great Smokies Writing Program. Brown is the author of Sister, now being reissued, and two award-winning collections – Fanny Says, and To Those Who Were Our First Gods. Jacobs’ debut, a biography-in-poems about Georgia O’Keeffe called Pelvis with Distance, won the New Mexico Book Award. McIlvoy’s fifth novel, At the Gate of Wonder, was published last year, and his short fiction has appeared in Harper’s Magazine, The Southern Review and Ploughshares. 7 p.m., Karpen Hall, Laurel Forum. April 9 – Reading by UNC Asheville Faculty Members – English Department faculty writers Evan Gurney and David Hopes will read from newly published works – Gurney’s non-fiction work, Love’s Quarrels: Reading Charity in Early Modern England, and Hopes’ The Falls of the Wyona, winner of the 2018 Quill Prize for Fiction. 7 p.m., Karpen Hall, Laurel Forum. April 27 – UNC Asheville Student Reading – Students will share their works created as part of the Senior Seminar in Creative Writing. 4 p.m., Karpen Hall, Laurel Forum.